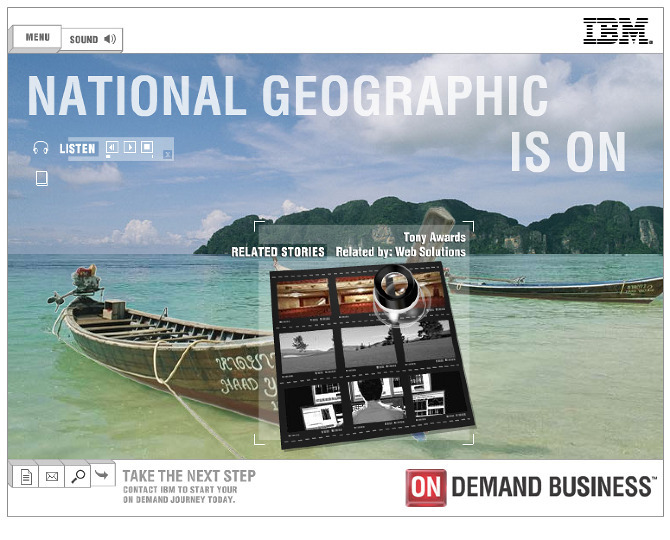 During my tenure at Ogilvy, 1996 - 2006, I ran all of the interactive brand work for IBM - including the e-business, ON Demand, and Smarter Planet campaigns. It was highly regarded by the industry and received numerous awards. in conjunction with the above the line efforts. As part of a truly integrated campaign, the Helpdesk website was conceived and produced in tandem with an extensive television campaign. 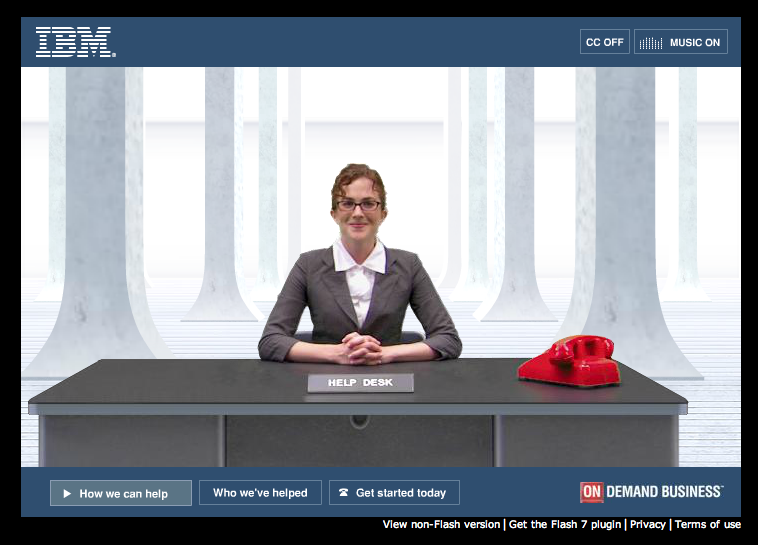 Shot at the same time as the television, the site uses characters from the TV spots to draw the user into an engaging experience, while providing necessary proof points for the complex problems raised in the campaign. Within each vignette we explore how IBM is helping businesses of all sizes solve their most challenging problems every day. THE CHALLENGE: Show that whatever the industry, whatever the goals, IBM has the brainpower to put digital innovation to work. Our microsite took users on a deep journey into the many ways IBM makes an impact on business around the world. With audio case studies, 3D animations to drive engagement and compelling sound design, we brought the power of IBM's capabilities to life. This work was the predecessor to the now extremely popular "Smarter Planet" campaign.